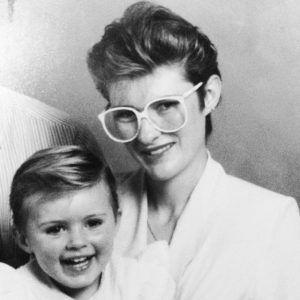 Until I was 10, my mum wore glasses. Large, white frames when I was a little girl; progressing with the 90s to slick-yet-delicate gold specs. She even had prescription sunglasses in the same style, which meant I almost never saw just her face. When I did, it was a bit of a shock. Somehow, the glass and metal became a part of her, melding with her identity so that she felt like a clone without them. I’d look at her with side eye, wondering for a tenth of a second who owned this suddenly bare face, before my small mind put it all together and my world made sense again. She hadn’t always worn glasses. In fact, up until my lazy body decided to stop trying to exit 3 hours into labour, her vision had been fine. Unfortunately, the strain of my sudden appearance into the world caused her eye shape to change, and she wore glasses for 10 years before opting for laser eye surgery. Those incredible frames and the little nightmare that brought them into existence. Sorry, mum. I always felt a little bit guilty when I’d hear that story. In hindsight, it’s misattributed guilt, and the story was told with love (Mum, if you are reading this: I’m ok if you were actually pissed off. I would be too). But that sense of guilt seems to reappear in May each year as I search for a gift that not only says “Thank you for bringing me into this world” but also “Sorry I fucked up your eyesight while you were doing it”. 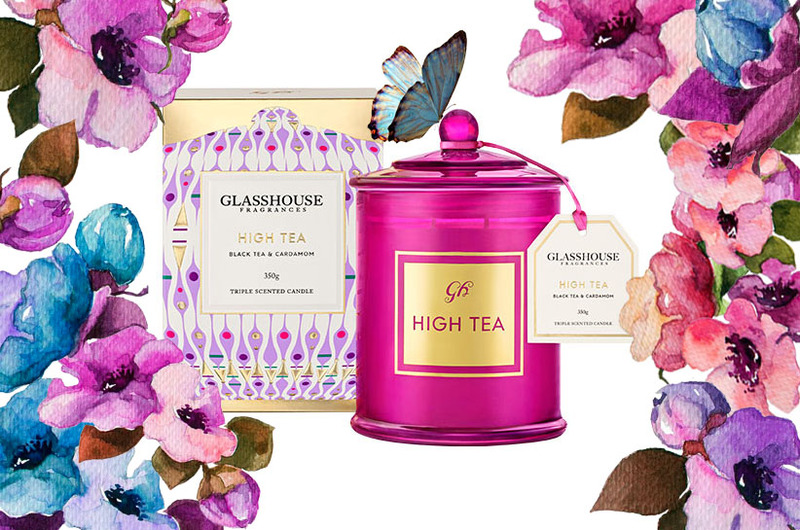 Unfortunately, not even the Limited Edition Glasshouse ‘High Tea’ Candle quite says that, but together with a day out having a real high tea and some quality ‘mum-time’, I feel slightly less guilty about 10 years of blurry vision. It smells like just-brewed tea and freshly baked spiced biscuits, and 5% of the RRP (less GST) goes towards the McGrath Foundation (win-win). Mother’s Day is Sunday 8th May. What are you buying your mum?